Comcast, commercially known as Comcast Corporation, is the American company that provides communications, information and entertainment products and services. In the US, this company is popular for offering several such services like home based internet, home based telephone services and home based security services in particular regions. In addition, this company is one of the largest cable operators in the US. Home security products provided by the company include surveillance cameras, home automations, fire alarm and many others. The company offers security services both in residences and in commercial places as well. At present, near about in 40 US states and in the entire Columbia district, Comcast services are available. There are currently 6 consumer reviews about Comcast available. Share your review. while at work i decided to call comcast about a promblem i had with one of their costumer service rep over the phone about a bill there giving me, they say from 1999 i have had service on verious differant occasion and always paid and always turned my equipment in. i went to get serv and here is this crap anyway i called and asked about it they said that it was 13yrs ago and was forgiven during some program. Now it keeps coming back and back i like comcast dont get me wrong but they really need to upgrade there info and let a person know whats on their file.i dont like feeling side swiped. then they had me on hold for 2 songs till i hung up whats up with that? This is the worst company in the world. I repeat, They are the worst in the world. They gladly take your money, quickly disconnect your services and offer the customer a lot of excuses as to why they don't live up to their promises. I am a very frustrated Comcast customer! I have been paying for crappy Cable and telephone service for years. I feel a though someone is stealing from my pocket. I pay every month on time and all I want is for Comcast to make sure my cable and telephone service works (on a regular basis). For over 5 years I have constantly needed technical assistance because the cable and/or the telephone service doesn't work. Funny how this works, I pay on time every month, but Comcast provides optional service. Something is so wrong with this picture! I'm sure others in the Atlanta Metro area are feeling my same frustration. 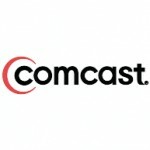 Please take a note that you are about to post a public review about Comcast corporate office on CorporateOffice.com. This review will be public, so please do not post any of your personal information on this website. If you would like to contact the corporate offices of Comcast, please use their contact information such as their phone number, website, and address listed above to contact them. However, sometimes staff from Comcast headquarters do read the reviews on this website.